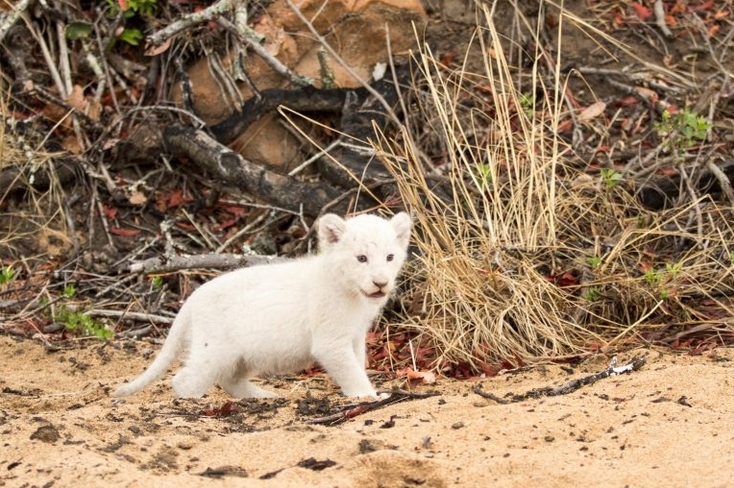 These heart-warming images show an incredibly rare leucistic white lion cub playing in the wild. 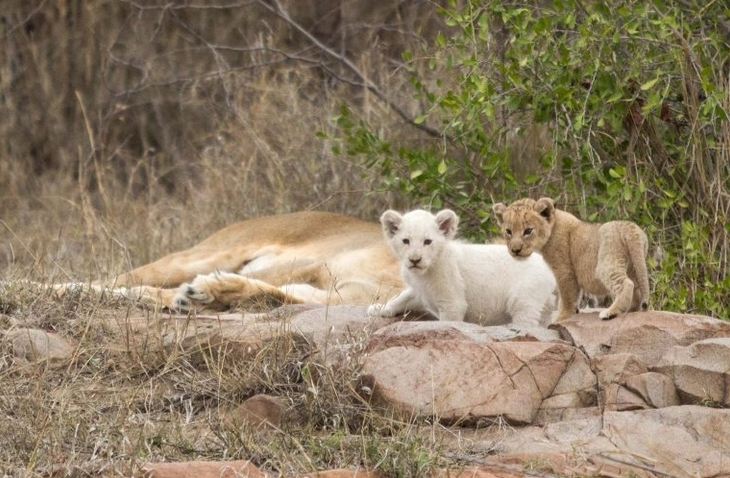 Taken by wildlife photographer Lyle McCabe in Kruger National Park, the snaps show the young lion cub, which appears completely white but is not albino, playing with its siblings while its doting mother looks on. 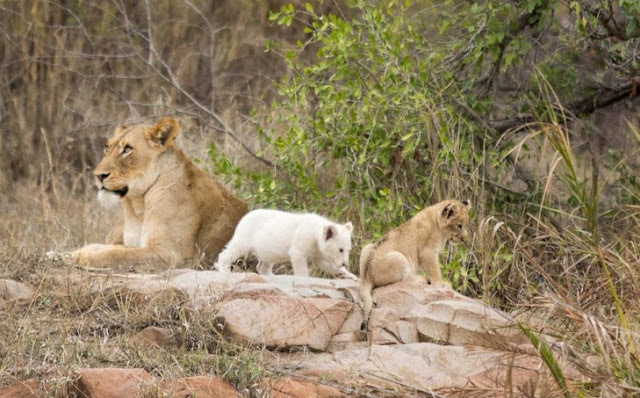 Lyle said the cub had been passed a leucistic gene by both parents – resulting in it having a partial loss of pigmentation in its fur. The 30-year-old said: “I was absolutely mind blown with this sighting. 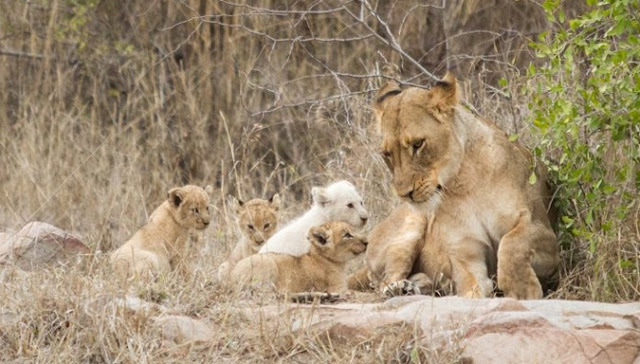 “We had known the cubs had been born about a month before but as per company protocol we had moved away from the area for walking, tracking and driving off-road in order to ensure the safety of the animals. “I arrived at the spot and waited about 10 minutes before we saw movement in the thicket, and out came the mother with a tawny youngster in her mouth followed closely behind by the pale youngster. Despite the cub’s appearance, Lyle says it was treated no differently to its siblings – but it may face problems in future. Lyle added that he was moved by the experience. He said: “We are all hopeful that all of the cubs will make it past the critical two-year mark which will increase their percentage of survival greatly. “Hopefully we will have many more sightings of this very rare genetic change. “The road ahead will be a tough one for all the cubs but especially for this bright white youngster. 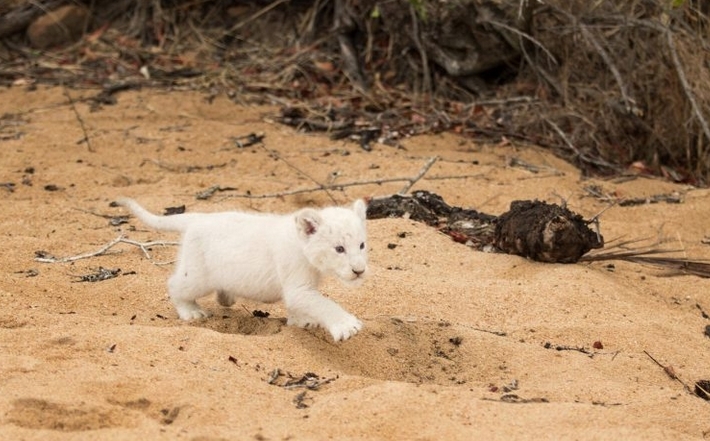 Responses to "Rare leucistic white lion cub spotted in the wild"